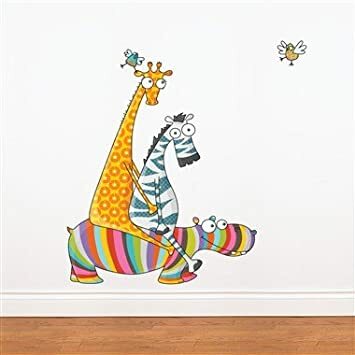 Home Kids Room Decor Kids Animal Decor Archive by category "Kids Giraffe Bedroom Decor"
Going for a jungle theme? Do your kids just love giraffes? Literally no child can resist this giant giraffe plush toy he’s Huge…almost 5 feet tall. Did I mention he’s super cute? 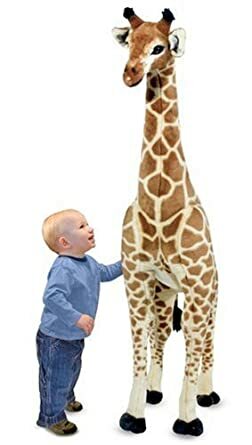 Melissa & Doug Giraffe PlushBuy It! Looking for a ridiculously cute wall decal for you kids room? This fun animal them features a striped hippo, bug eyed zebra, spotty giraffe & 2 cheery birds. It’s 42″ x42″ so it will take up a good part of the wall & really make a statement. Friend’s day out Wall DecalBuy It! 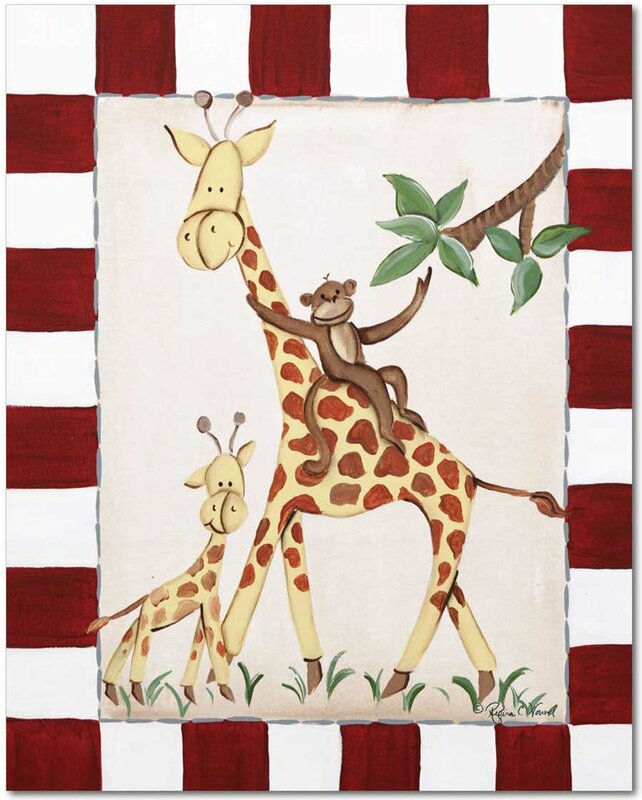 From the Doodlefish Jungle Junior Collection, this stretched canvas Giclee’s features a mommy giraffe and her sweet baby. They are joined by a little monkey hitching a ride on the momma’s back. The red checks that frame the design are wrapped around the edges creating a ready to hang piece of artwork that measures approximately 16″ x 20″. Doodlefish Gallery-Wrapped 16″x20″ Wall Art, Giraffes and MonkeyBuy It!